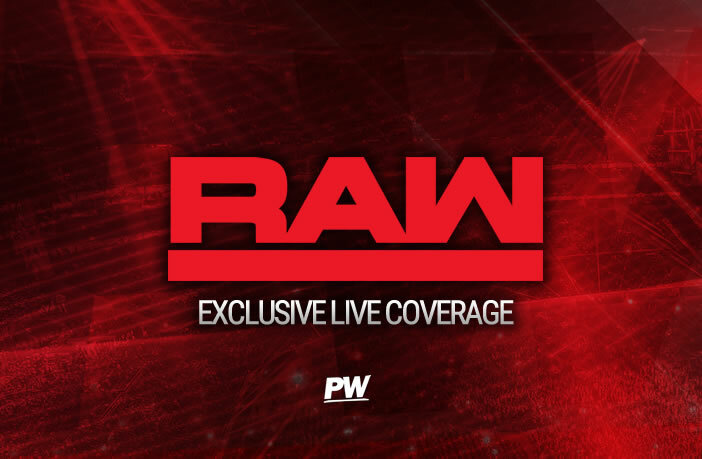 WWE RAW RESULTS LIVE - What Does Corbin's Crew Have In Store? Jojo is in the middle of the ring, and asks everyone to stand to honor former President George H.W. Bush. The crowd stands in a 10 bell salute as they show photos of the 41st president. It’s time to get ROWDY! Raw Women’s Champion, “Rowdy” Ronda Rousey is here! in two weeks she faces off one on one against Nia Jax, but it looks like she is going to be in a tag team match tonight with Natalya against The Samoan Sisterhood, Nia Jax & Tamina. Before the match can start, the Riott Squad comes out to distract Rousey and Natalya. While they’re distracted, Tamina and NIa attack and throw Natalya out of the ring. They throw Rousey out of the ring as well and throw her into the steel steps. The Riott Squad pounce on Natalya like a bunch of Hyenas, and start to pound on Natalya. They put Natalya on the apron and set up a table in a precarious position below her. Rousey tries to crawl her way to help out her friend, but Tamina and Jax attack again, and Nia Jax lays in her large leg drop. On the apron, Liv Morgan and Sarah Logan set Natalya up on the apron while Riott delivers a superkick, which Mogan & Logan use the momentum to powerbomb Natalya right through the table.